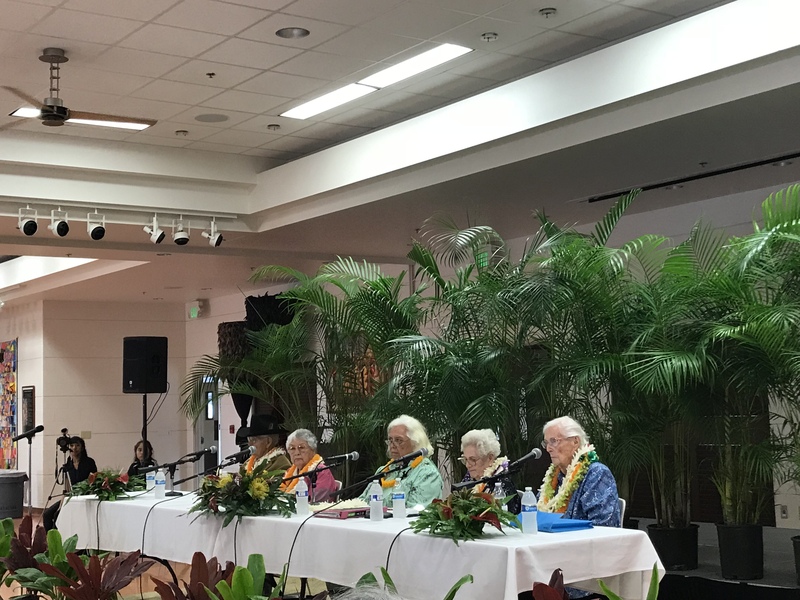 On March 3, 2018 a Kūpuna Kūkā Kūkā event was held at the Ka`iwakīloumoku Hawaiian Cultural Center, Kamehameha Schools Kapālama Campus, 5 Kūpuna who represented HCCH, Koolauloa, Hilo and Waianae Hawaiian Civic Club shared many precious and invaluable memories as senior civic club members. 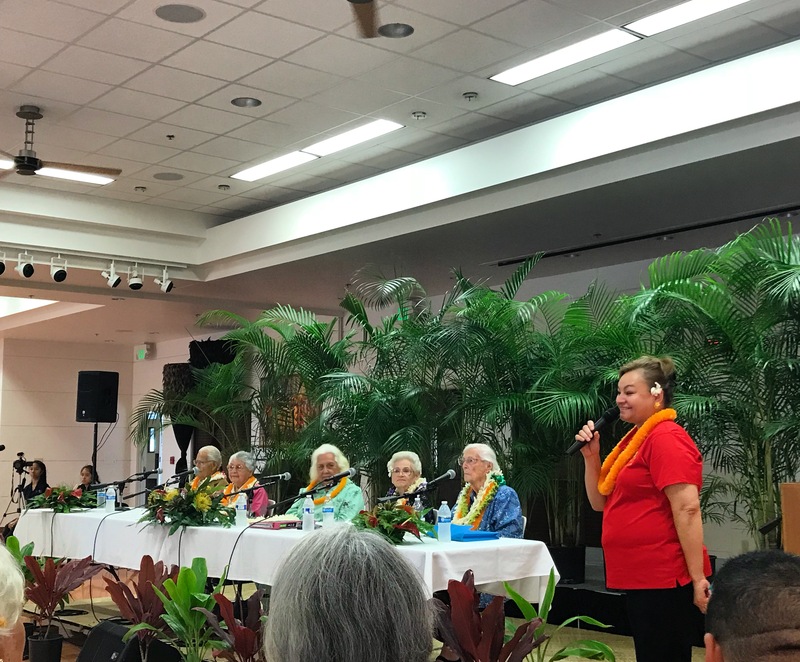 Family members, friends and other Oahu Council Civic Club’s members enjoyed the conversation, sometimes shedding tears/laughter as they recall the good and sometimes difficult times growing up and being a part of the Hawaiian Civic Clubs. 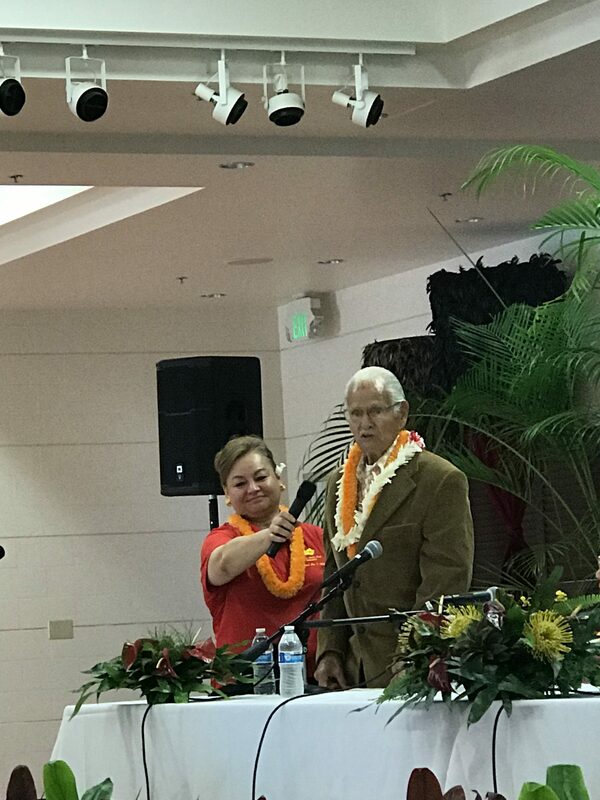 This wonderful occasion was sponsored by Kamehameha Schools, Office of Hawaiian Affairs and the Hawaiian Civic Club of Honolulu. 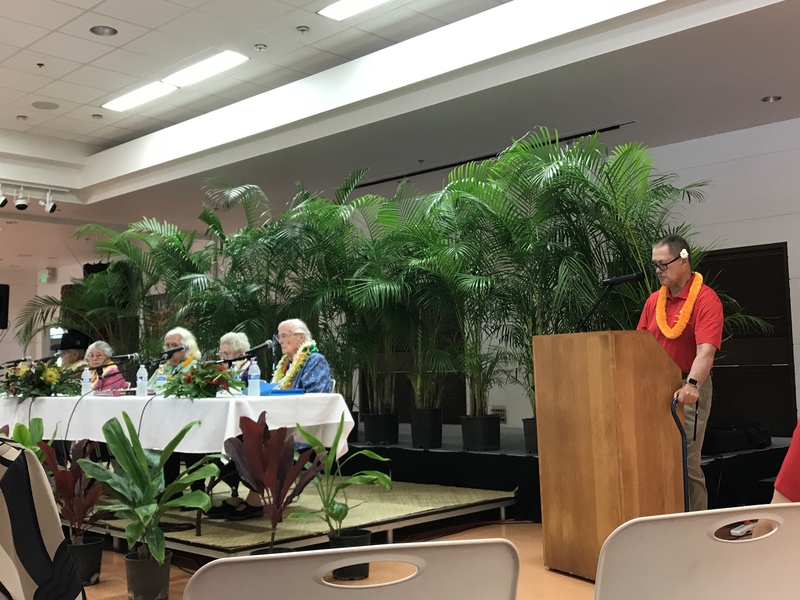 Immediate Past-President and Pat Brandt Vice President co-chaired the event. 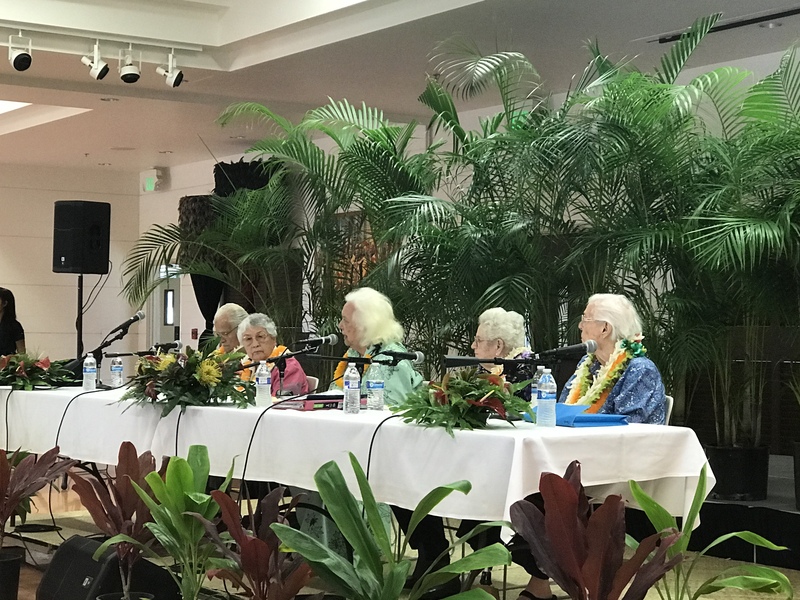 Pohai Ryan, Pelekikena Kamehameha HCC – Moderator, w/Kūpuna Aunty Bobbee Mills Dias, Aunty Ann Nathaniel, Aunty Jalna Keala, Aunty Gladys Rodenhurst and Uncle Albert Silva. 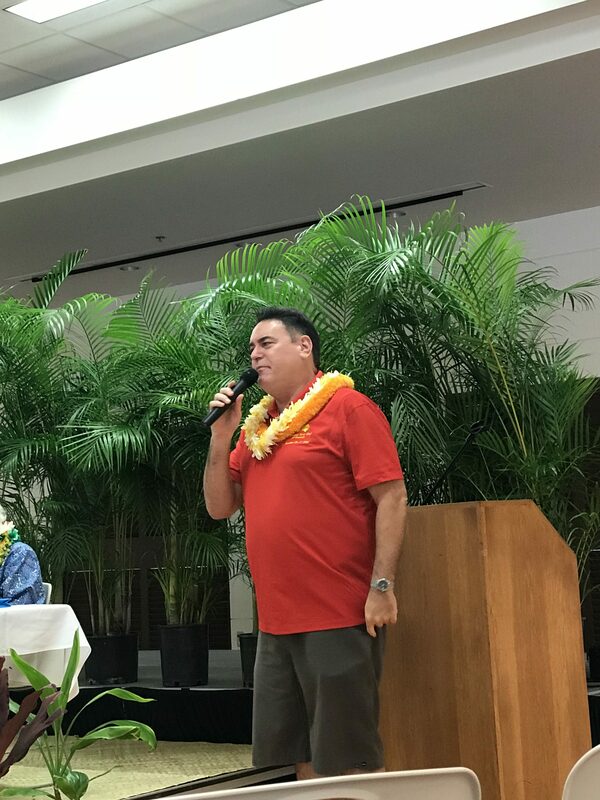 Julian Ako, HCCH Board of Director – MC for the event.